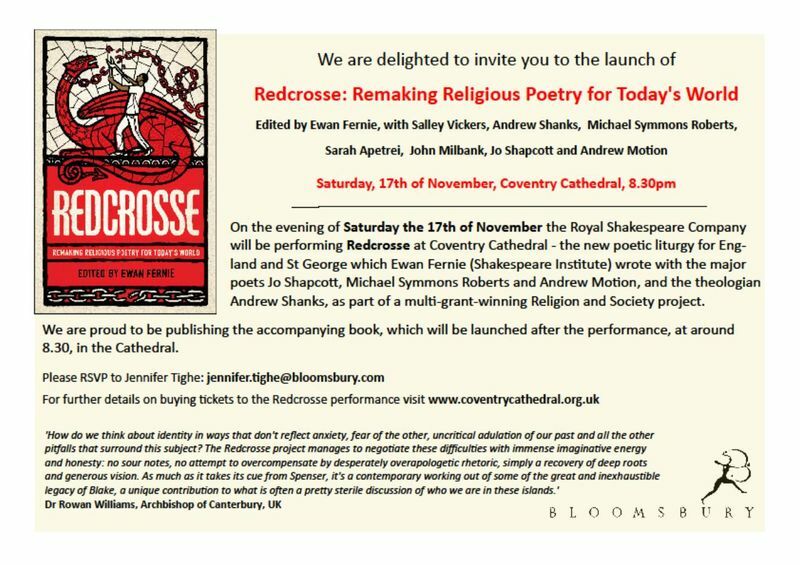 We're delighted to announce that we will be launching our fantastic new book Redcrosse on Saturday 17th November, after the accompanying performance by the Royal Shakespeare Company, at Coventry Cathedral. All those who are attending the performance are invited – so do pop along for a drink and to hear from the editor of the book, Ewan Fernie. For further details on the launch please click on the invitation below. further details and tickets, please visit the website.